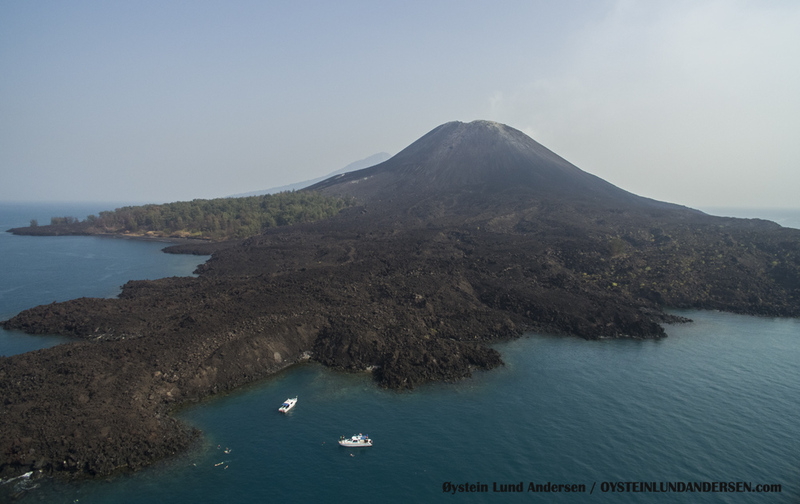 The status of Krakatau seems to have not changed the last year. 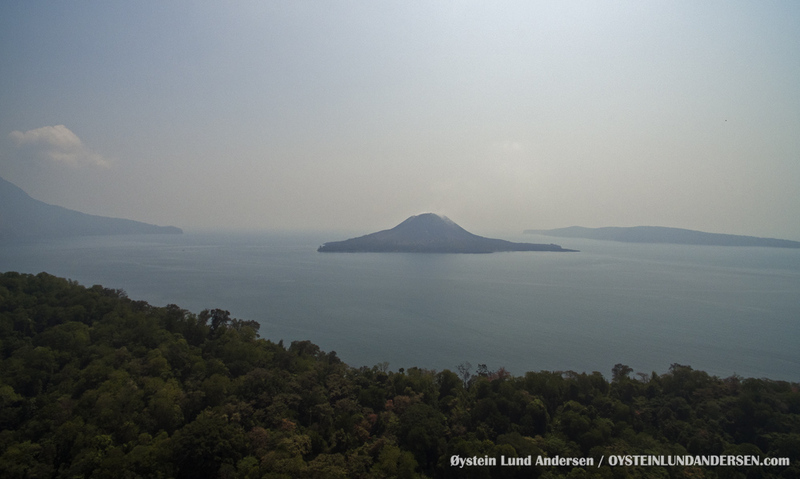 Local sources and the PVMG officials at the Krakatau Observatory in Pasauran, both claim not to have any indications that the volcano have not erupted in 2015. Seismic activity fluctuates but has decreased to low levels the last months, with the exception of a few modest peaks in activity. Degassing is ongoing at a level that is slightly below what was observed during my visits in 2014. 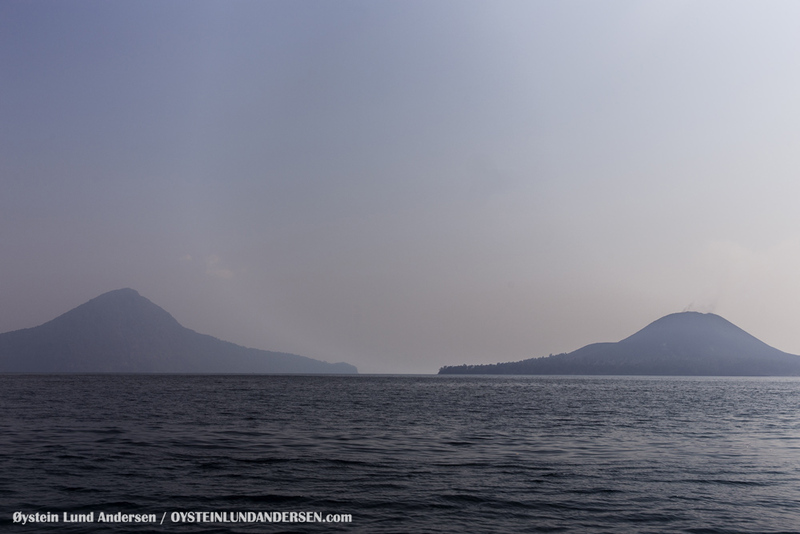 During this visit, only low levels of degassing was obersved and no crater glow was visible during the night. 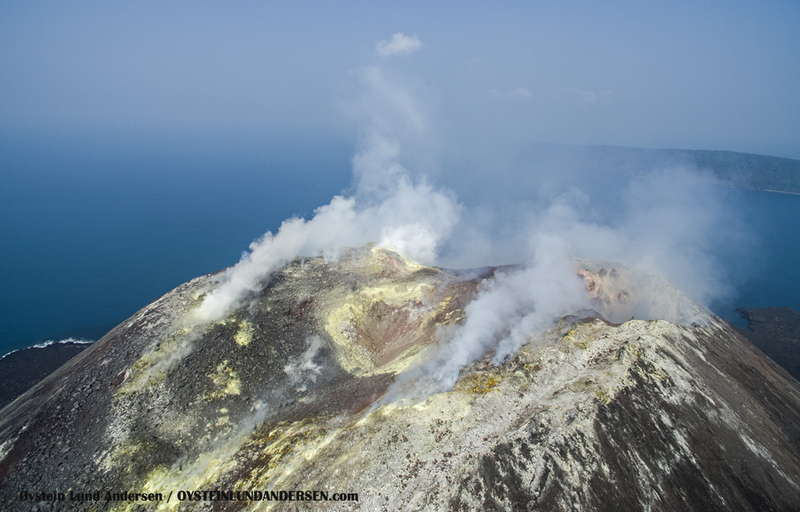 The summit/crater area has changed considerable after the explosive eruptions of September 2012. 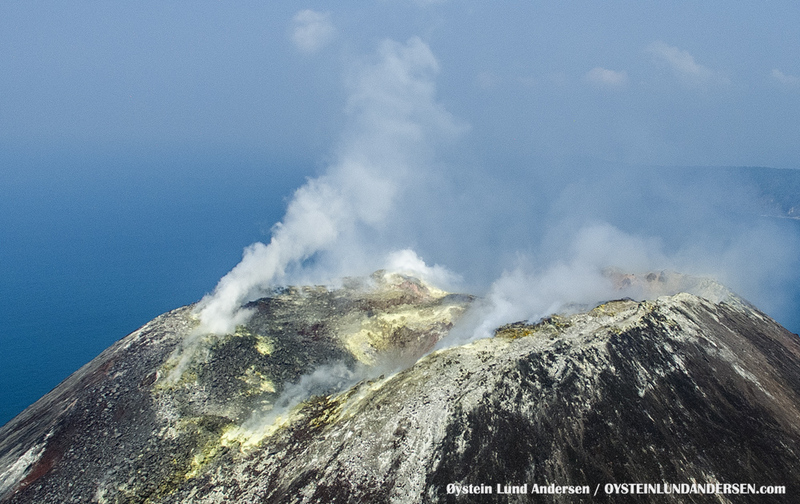 At least 3 vents exist today, and two vents are visible in some of the summit photos below. 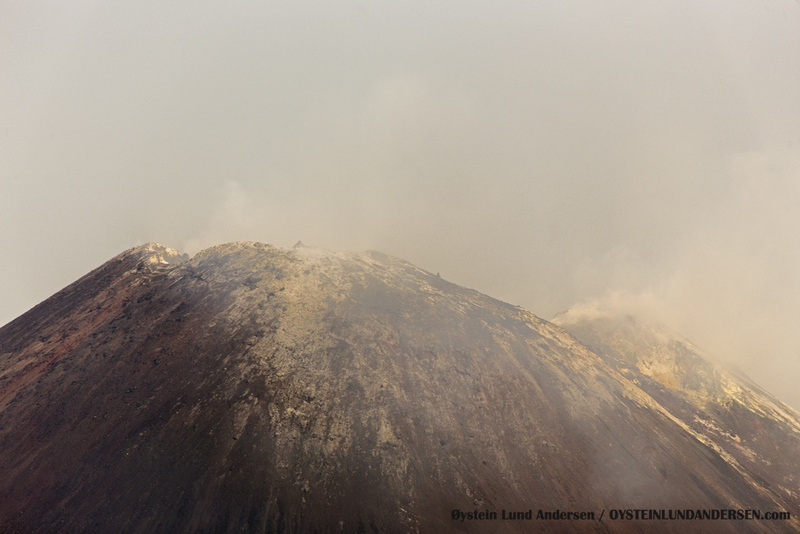 One vent is located on the middle section of the summit, which I think is the vent that was active during the September 2012 eruption. 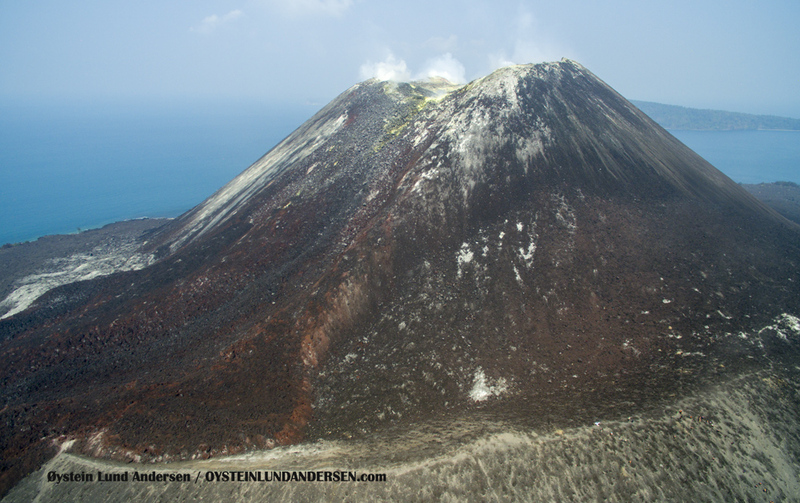 Another vent is located on the northern part of the summit, which was the exit point of one of the eruptions of Anak krakatau on 28th march 2013. 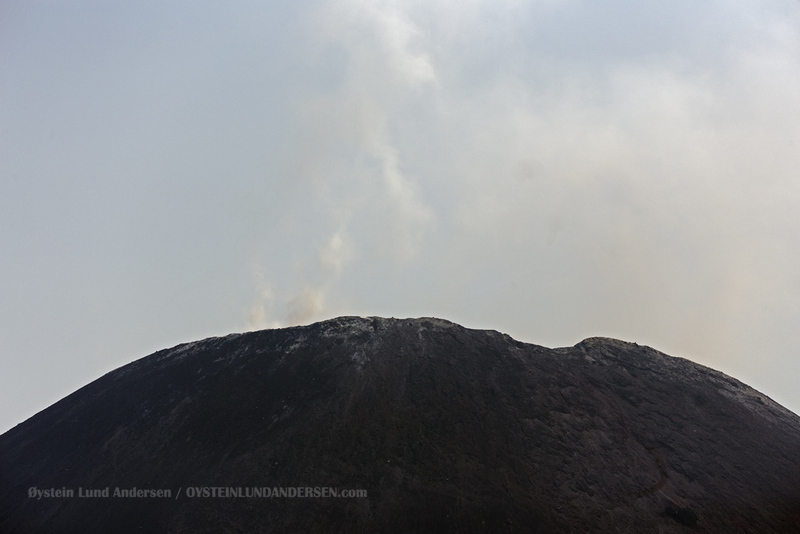 Another vent is located in the S/SW part of the crater, that was the exit point of an eruption on the 29th March 2013. 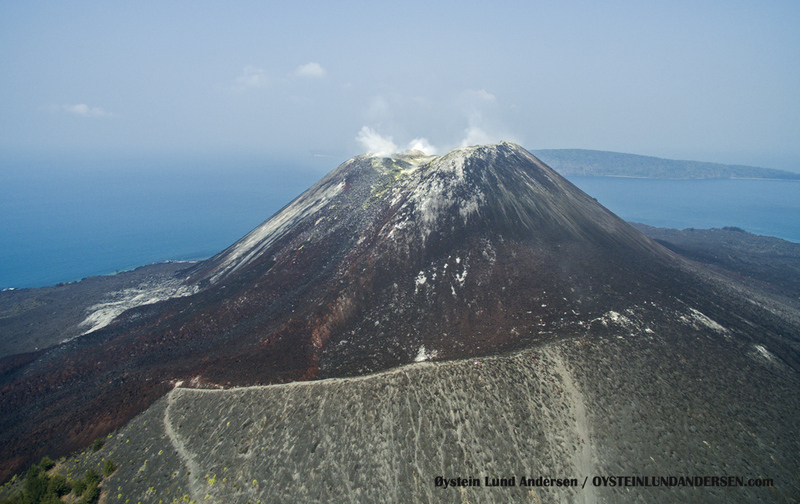 This vent lies more or less above the area of an old crater/vent that was active on the upper flank of Anak Krakatau in 2007. 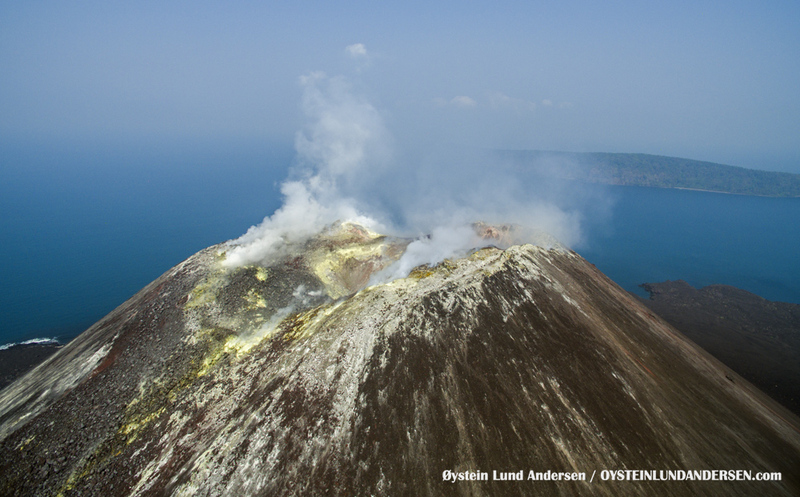 Last eruption confirmed: March 2013. 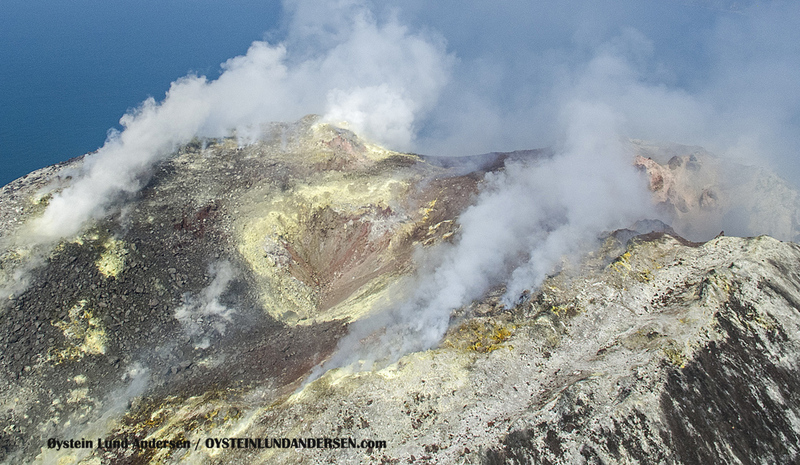 This eruption seem to have originated in a vent in the S/SW part of the crater. 31 available (excl. 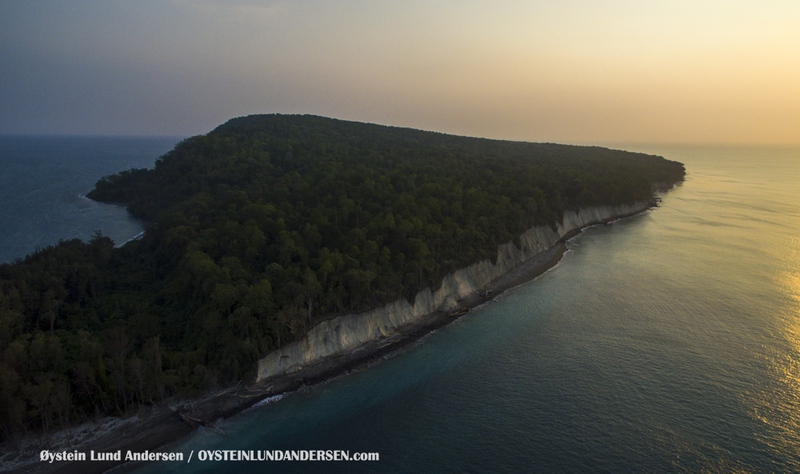 aerial photos) in format/size: RAW/JPG – 5182 x 3456 pixels in this post. 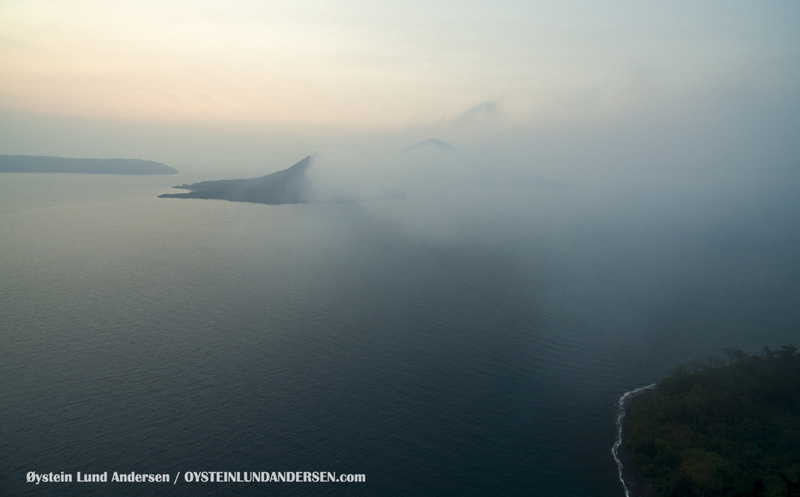 Aerial photos is available in format/size: DNG/JPG – 4000 x 3000 pixels. 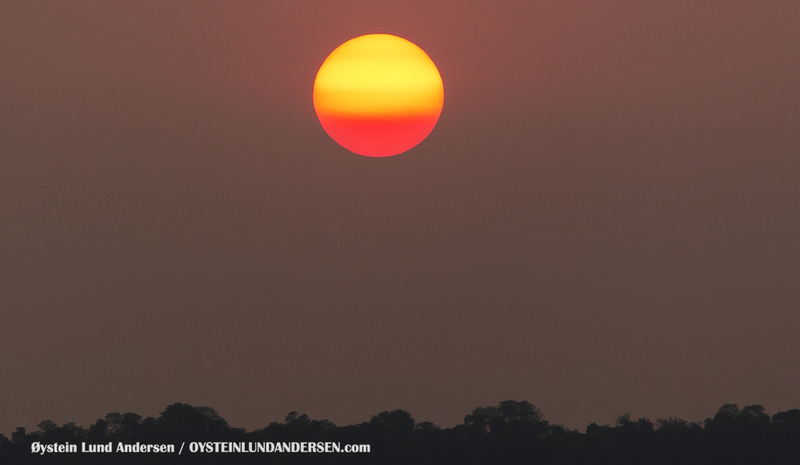 Total of 150+ photos not presented on the website. 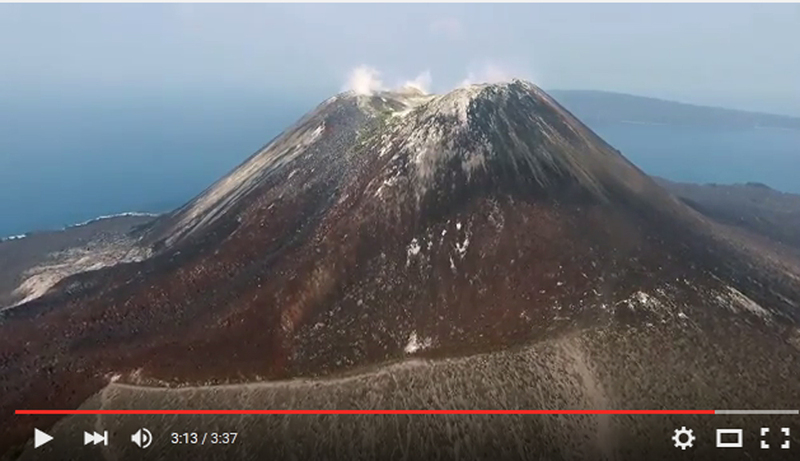 Video: 1 aerial video. Video does also include footage from June 2014. 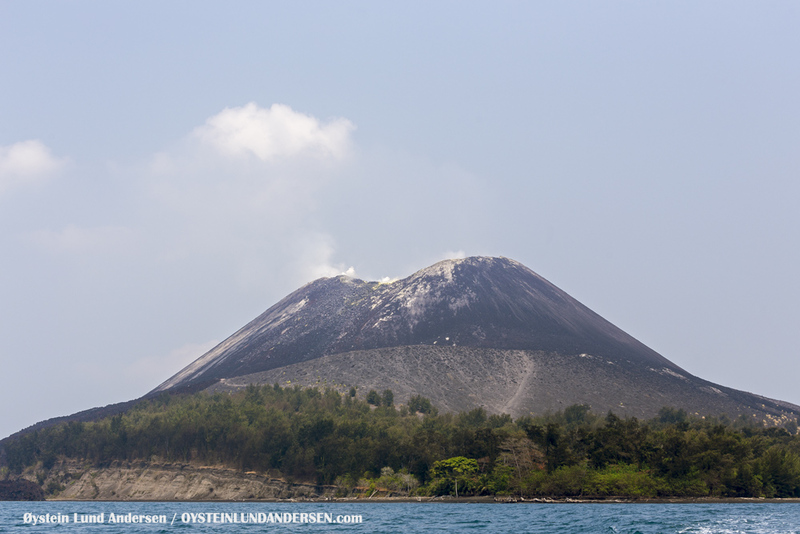 Arrival at Krakatau during midday at 10th October. 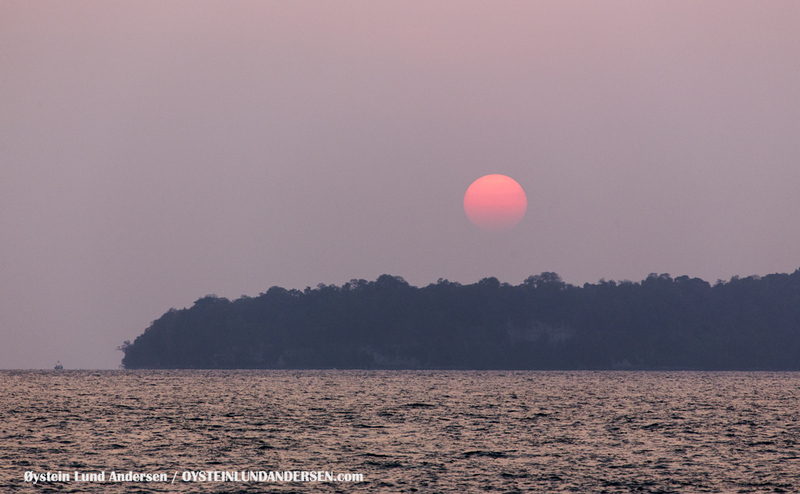 Rakata isl. 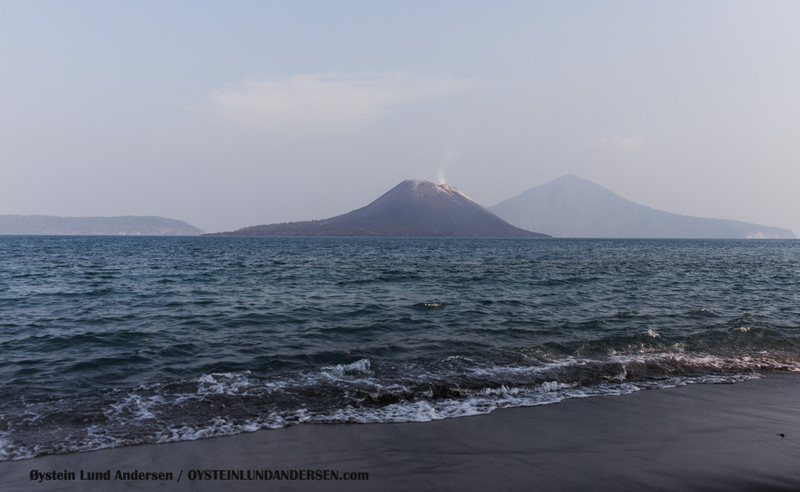 on the left and Anak Krakatau on the right. 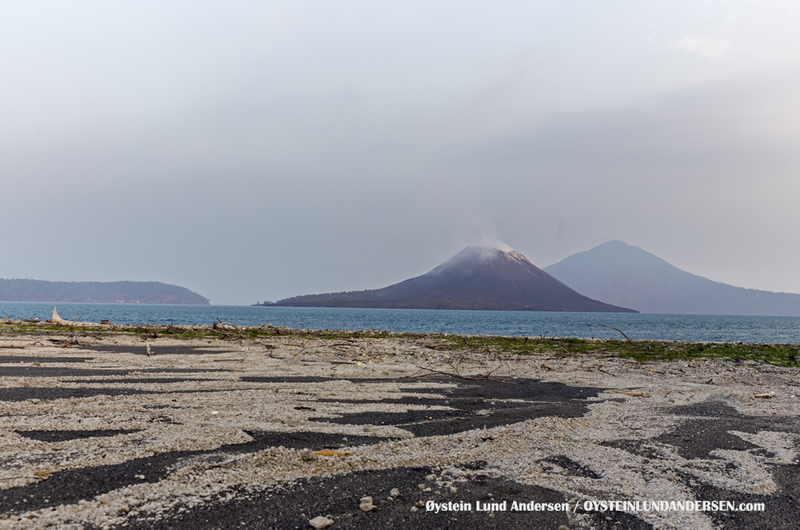 Anak Krakatau seen from the north, with the lava flow of the 90s in front of the cone. 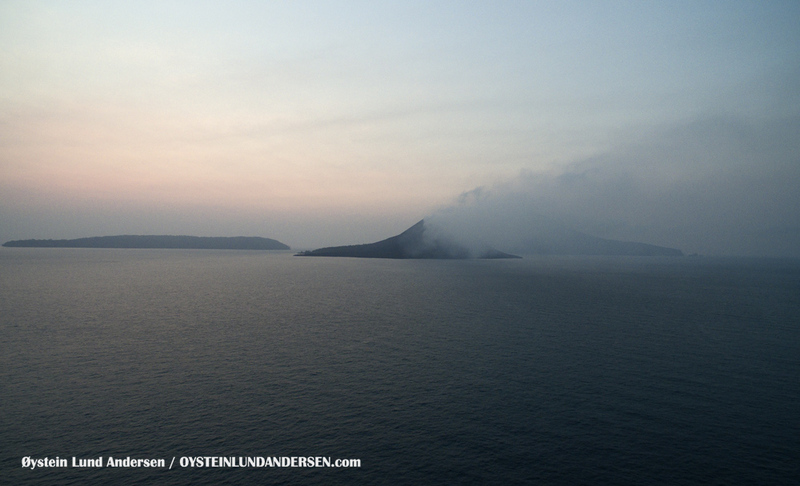 North-eastern shore of Verlaten isl. 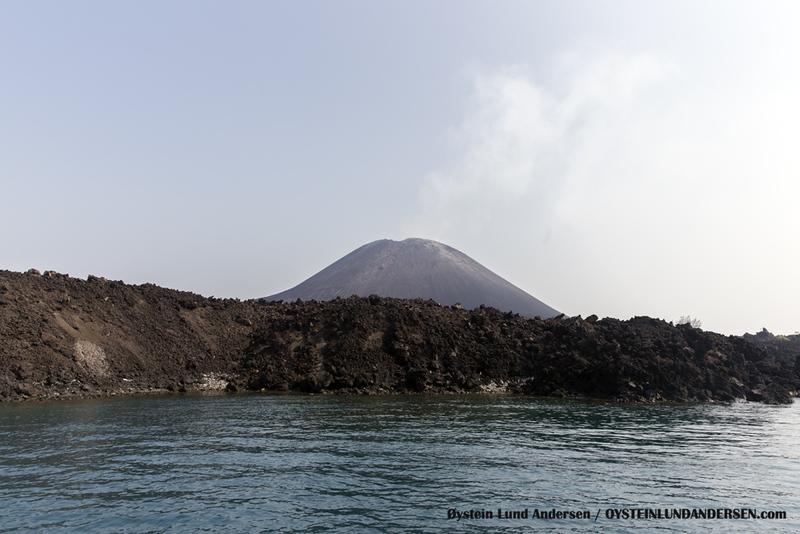 The northern tip of the island continues to suffer from erosion. 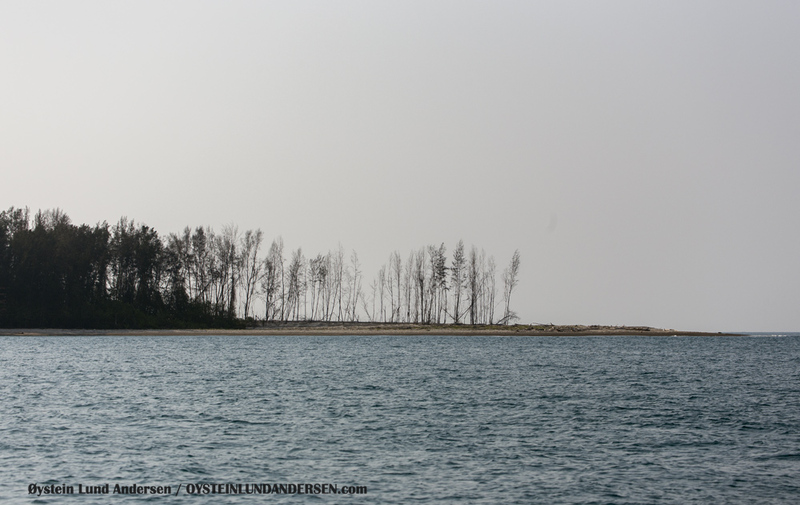 A 100m stretch of the tip of the islands forest have been partly washed away by waves the last year. 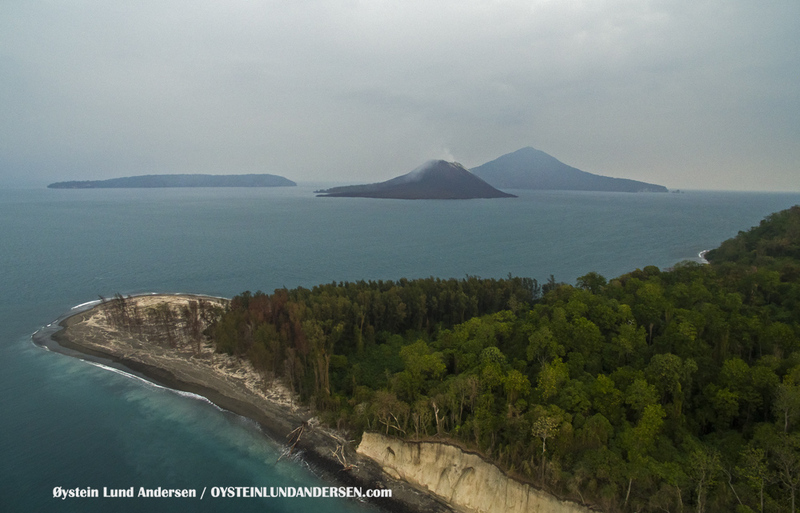 Aerial of Anak Krakatau seen from the north. The lava flows of the 90`s in the foreground. Verlaten isl. 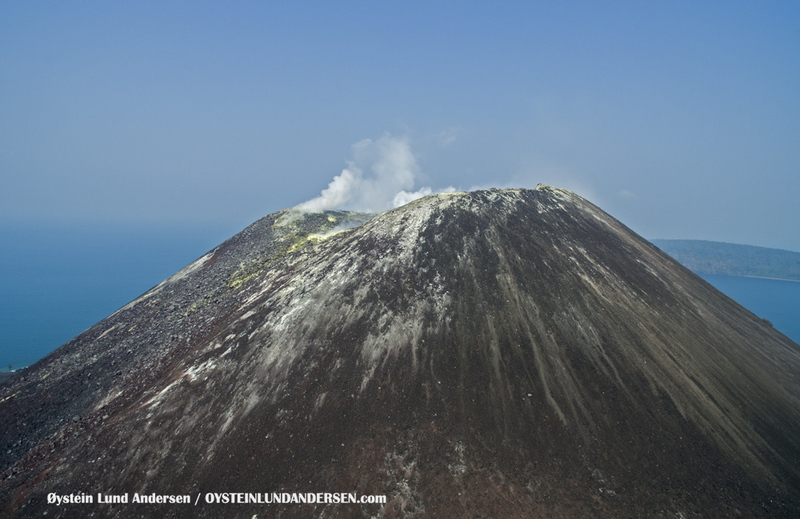 The deposits of Verlaten is mostly from the 1883 eruption. 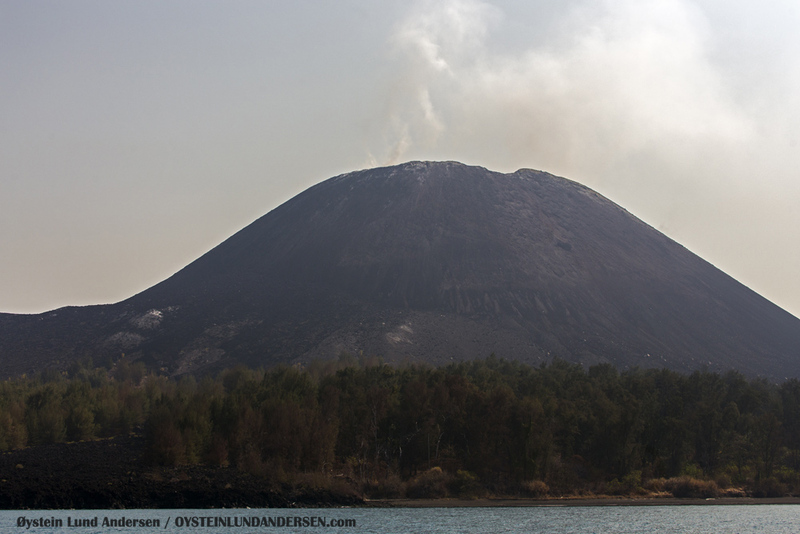 Anak Krakatau in the morning of the 11th October. Gas emissions are taken by winds towards the West. 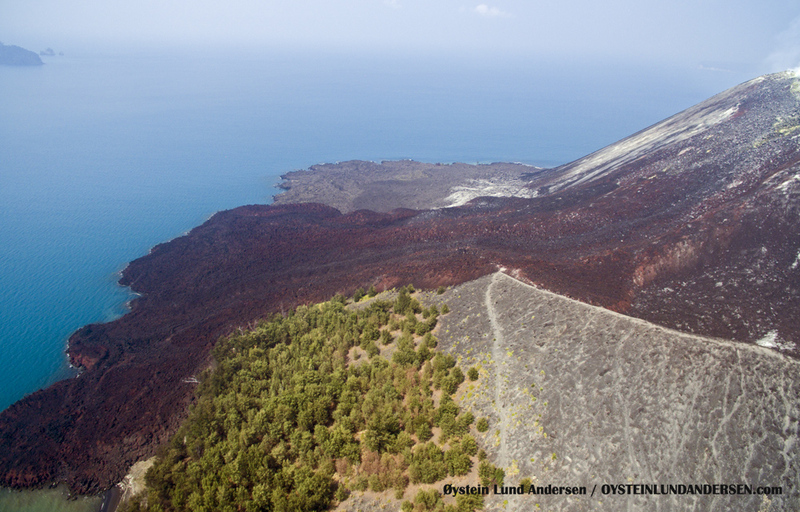 One of the Lava flows of 2012, is more reddish in color than the other material. Most parts of the crater area is exposed in this photo, except parts of the eastern side. The crater area as of today, seen from East. 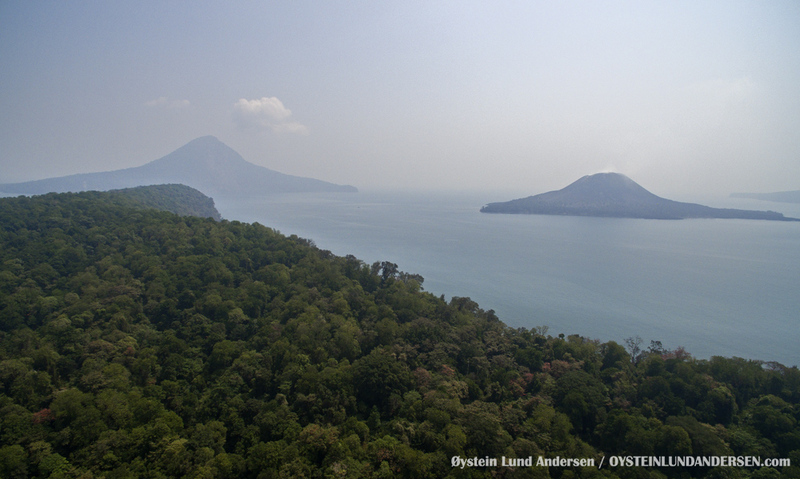 It has changed considerable after the explosive eruptions of September 2012. 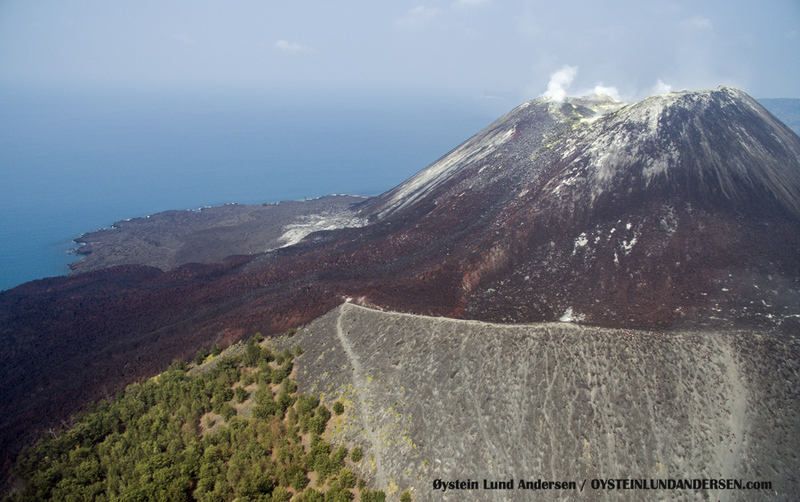 At least 3 vents exist today, and two vents are located within this photo. 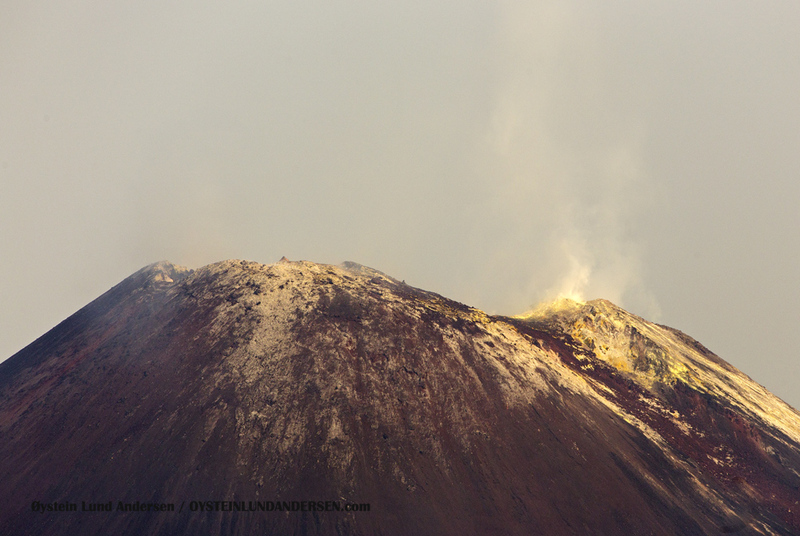 One in the middle section, which I think is the vent that was active in the September 2012 eruption. 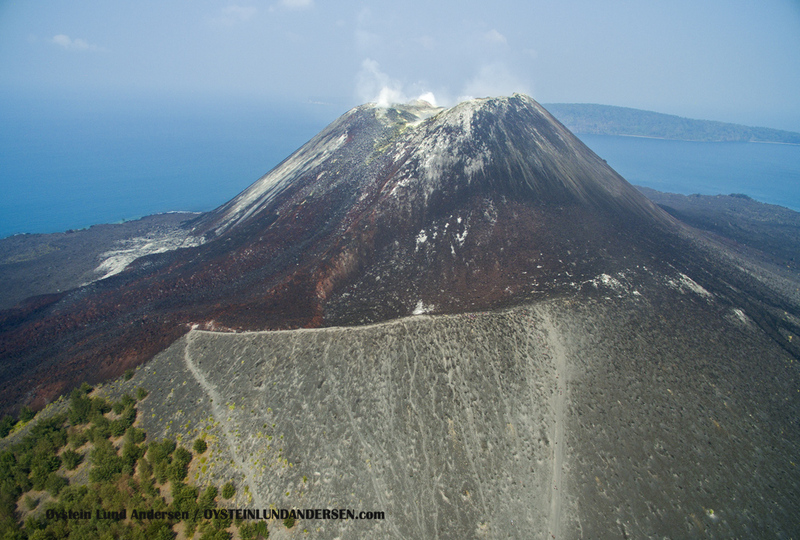 The other one is located in the upper-right (northern part of the crater) of the photo, which was the exit point of one of the eruptions of Anak krakatau on 28th march 2013. 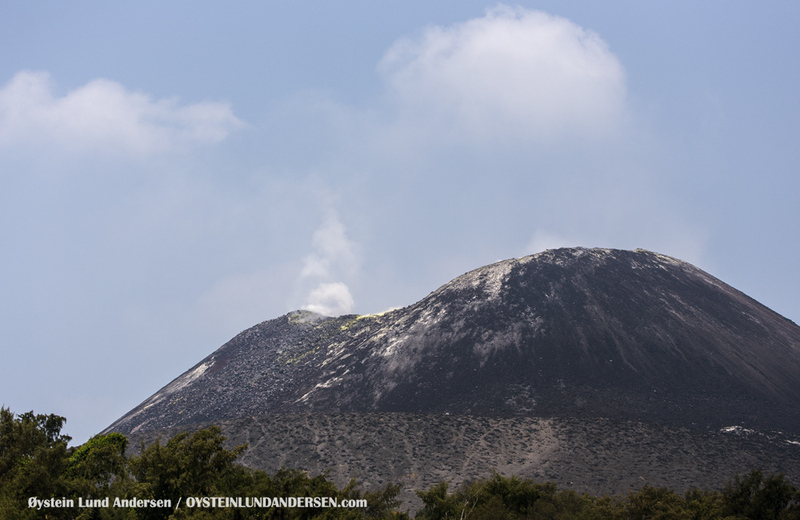 Another vent is located in the S/SW part of the summit, that was the exit point of an eruption on the 29th March 2013.